I was very privileged to be asked to give the Furlong Christmas Lecture a few weeks ago. I hope this doesn’t seem egotistical but here’s the text of that lecture amended with useful links etc – it touches on and rehearses themes that will be familiar to those of you who have visited the blog before. Nonetheless I hope it makes for an interesting read and perhaps sparks some thoughts of your own. Good evening ladies and gentleman. May I begin by saying what a great pleasure to be with you. I feel very honoured indeed to have been asked to give this, the fourth Furlong Christmas Lecture. Ronald Furlong left a rich legacy in research as you know. He was also quite clearly a force to be reckoned with. By all accounts, his pursuit of innovation that would improve the lives of his patients was formidable; his concern that the patient should come first, courageous. I read a comment by one of his long-standing friends that such was his size one could not see the door once he had stepped through it. I know I certainly would have wanted him on my side as a patient. Ronald Furlong’s philosophy lives on, of course, in the work of Orthopaedic Research UK. The desire to put the patient first is self-evident in everything I have read about the charity, its work and its history and I would like to take this opportunity to congratulate it on another successful year. The fact that increasing numbers of researchers are applying for your funding is a clear signal of your credibility and growing stature in the scientific community. Putting patients first is also the theme of my lecture tonight. But, unlike my predecessors, each of them scientific leaders in their own right who have lectured on key developments in their field and what they might mean for patients, I am going to take a different approach. I hope to examine and explore with you how patients are actually putting research first in their lives making it part and parcel of their patient journey. Also, how we might widen public involvement and participation in research to ensure that we make the most of opportunities that will mean better outcomes for patients in the future and enhance our international standing and reputation for cutting edge research. Perhaps I should say at this point that there is an intense, and intensely, fascinating debate about the relationship between science in general and wider society. Much as it was tempting not too, I have, however, elected to focus my thoughts primarily on medical research and clinical research in particular as it seemed most likely to resonate with you. As Chair of INVOLVE it is also important that I explain from the outset that our definition of public involvement is of a wide spectrum of activities which extends from public engagement thru participation to, most importantly, active involvement in research decision-making. Let me begin by introducing you to two people whose stories can help I think, illustrate what I mean by public involvement in research but which also encapsulates how far we have reached in the UK in terms of its achievement. The first is a young lady featured in the rather grandly named ‘Wirral Globe’ just a few weeks ago. Georgia Semple is 14 years old and was diagnosed with Leukaemia when she was 9. She is a member of the Young Person’s Advisory Group for the National Institute for Health Research (NIHR) Medicines for Children Research Network – one of a number of such networks established in the UK in the last five years to promote and advance clinical research. The second person is Brin Helliwell. Brin is a school teacher who was left partially paralysed by a stroke in 2005. His pursuit of recovery and wellbeing since then has led him to participate in a number of clinical studies. Asked by researchers and fellow patients to develop a tool to encourage others to do the same, he proposed a video project which is now on the main website for the NIHR Clinical Research Co-ordinating Centre in the UK. Quite rightly, as executive producer, he takes the starring role in the first of the videos produced and now available on their website. Here he is in his own words. The point about Georgia and Brin and indeed initiatives such as this at the University of Bristol School of Clinical Sciences, is that they are still very much pioneers in the move to see people much more involved in the decision making activities in research projects and in research organisations. As pioneers they are leading from the front, highly self-motivated, challenging attitudes and pushing at the frontiers. My sense is that Ronald Furlong would therefore have felt a great deal of affinity, and would have been delighted to share this stand, with them. He would have also, I am sure, empathised with their sense of isolation as frontiersmen and frontierswomen and of the steely nerve that they would have required to get this far in settling new and sometimes hostile territory. It is also the explorer’s burden to tend to have your actions considered with a mixture of awe and consternation by your fellow human beings. For the fact is, the common perception of how patients and the public engage with and contribute to research is far removed from what Georgia, Brin and others do. It is to see the public as a force to be mobilised to raise funds for, or influence opinion in favour of, research – often motivated and led by the relevant medical research charity concerned. Let me give you a brief example from my own experience but one I believe we can all relate to. Mrs Sharp – not her real name – is a middle-aged women who stands outside my local Tesco Express collecting money for Alzheimer’s Research UK. As well as caring for her mother who has dementia, Mrs Sharp turns come rain or shine to fundraise with a small and rather battered collection tin. Last time I spoke to her she gave me a copy of the letter she had received from the charity thanking her for the £3,000 she had raised. And for me she has become rather symbolic of this common and traditional perception of the role of the public when it comes to research. As you can tell I am a big fan of Mrs Sharp. But, my issue with seeing Mrs Sharp as the be all and end all of the relationship between research and the public is not that it is wrong. Not at all. Yet it lacks a sense of ambition. Indeed by defining public activity in this way we limit our horizons as to what patients and researchers might achieve together if they see each other as part of the same community working with common cause. Before considering this partnership further, it might be worthwhile to pause for a while and reflect on the role of medical research charities in the UK. Because they can also tell us a lot about the relationship between research and its public. It is my view that the contribution of charities to UK medical and health research continues to be understated if not underrated. It certainly was by the Prime Minister and his Ministers this week who barely mentioned them. 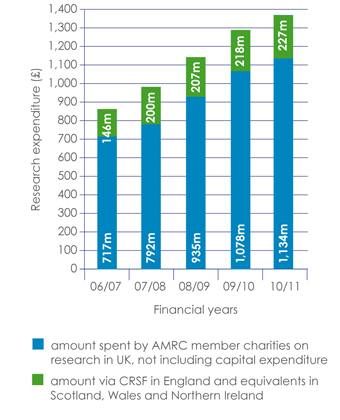 Charities as represented by the 120 plus strong membership of the Association of Medical Research Charities (AMRC) collectively raise and fund approximately £1.3 billion of research in the UK every year. That figure is double what it was just over six years ago. Charities now represent over one-third of all publicly funded expenditure of research here in the United Kingdom, a situation that is unparalleled anywhere else in the world. Given that the majority of these funds are raised from the British public – about £2,500 a minute – charities are I believe an important symbol of the public’s interest in research. Indeed they are a good counterpoint to the argument that the public are semi-detached from research. Medical research is the leading charitable cause to which people give (in spite of a recession) in the UK. Only the Netherlands has a higher percentage of its population raising money for research. These two facts alone are helpful in building a case that not only do the public ‘get it’ but that they also ‘raise it’ by the bucket load. All the evidence is that they see a donation to research as having immense value and potentially making a highly tangible difference. The other deliberate reason for pausing on charities for a moment is to ask you to consider one other important factor for their rise and which is relevant to the theme of my talk. The growth in charities as research funders but also their assertiveness on key debates in science – from hybrid embryo research to the current Health and Social Care Bill going through parliament – has primarily been driven by those charities which are in turn driven by a strong and active patient group or patient constituency by their side, knowledgeable not just about their condition or that of a loved-one but also about the research that is important to it. We have evidence of a research-sympathetic culture. The real question for me therefore becomes how we turn what patients and the public currently do – which is valuable and important in its own right – into something more? Perhaps, you might ask, why should we? Well, there are three principal reasons in my view. Why public involvement in research matters? The first is what I call the mission argument –and takes its calling from the assertion by Dame Sally Davies, Chief Medical Officer and Head of the NIHR, that a hallmark of a modern healthcare system is its capacity and capability to advance science knowledge and understanding, develop new treatments, therapies and intervention and incorporate these into policy and practice. None of this endeavour can happen without the inclusion of patients and certainly not in a universal health care system where the mantra is now ‘Nothing about us without us.’ It would be a little like a high street retailer opening-up shop without taking any heed of its potential consumers nor listening to their comments and feedback or indeed looking at their own sales on a day-to-day basis. I think the last person who tried something like this was Reginald Perrin and looked what happened to him. The second is what one might call the bottom-line argument or the ‘Charge of the Light Brigade’ argument if you prefer the Science Minister, David Willett’s analysis. As the Coalition Government expressed this week, there is an economic imperative to strengthen and improve research and innovation here in the UK; not just to drive greater efficiency in our healthcare system but also to maintain and strengthening our international standing as a leader in clinical research. The most common evidence or statistics cited by commentators to suggest that this position is under some stress is to look at the UK’s share of clinical trials compared to other countries – down from 6% to 2% is the most oft-quoted figure. Monday’s announcement on life sciences builds on the work of the last five years builds to rectify this position with better infrastructure and greater funding. And we are most certainly moving in the right direction – more than half a million people participated in studies supported by the NIHR Clinical Research Network in 2010, a 24% increase on last year. But this effort will be for nothing unless we focus even greater attention on empowering patients to come forward to participate and become involved in clinical trials and studies. The third reason is the ‘evidence-base.’ The fact is, there is now increasing evidence that involving the public in research can improve its design, its conduct and its outcomes. Two years ago INVOLVE together with NIHR published this document which collected together case histories of the way in which public involvement had a beneficial impact. I am going to mention one of them but start by drawing your attention to an example recently featured in The Guardian. 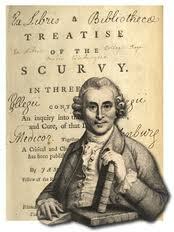 I am sure that a number of you have heard of the James Lind Alliance (JLA) – named after the Scottish naval surgeon James Lind who pioneered clinical trials 250 years ago. One of the key activities of JLA – funded by NIHR and the Medical Research Council (MRC) is what are termed ‘Priority-setting partnerships’ the aim of which is to identify the key research questions that matter most to patients and clinicians, that if answered, would improve the quality of patent’s lives. In the example covered by the Guardian which took place in stroke medicine, clinicians, patients and researchers whittled down 500 possible questions to just 10 which can now be used as the basis for future work, funding and inquiry. Similar exercises have been done in asthma and prostate cancer with very promising results in directing future lines of inquiry. Changing this term to ‘actively monitoring’ and making a number of other tweaks gave patients more confidence and, as a result of some of these simple changes, recruitment rates went up from 40 to 70 per cent. But in addition to these three reasons I believe there is another pressing argument in favour of increasing public involvement in research. For it can help us collectively manage some of the new tensions that are arising out of an increasingly exercised and democratised public. I think we must be acutely aware that in the external environment around us the public is rightly feeling more willing and more confident about challenging traditional boundaries. This growing desire to assert one’s citizenship becomes particularly passionate and more energetic when it comes to people’s own health. And research is not immune to it. I thought there was an interesting illustration from Canada this summer of this tension and what it can mean. It concerns ‘Liberation therapy’ as a potential treatment for Multiple Sclerosis. As you may be aware, Liberation therapy was ‘discovered’ by an Italian scientist called Dr Paolo Zamboni in 2008. The theory goes that by widening supposedly blocked neck veins one drains blood and iron deposits in the brain, thereby alleviating MS symptoms. It is highly controversial with many, many scientists disputing Dr Zamboni’s methods and its impact. But the clamour from MS sufferers, their families and the national and local media in Canada for patients to have access to ‘liberation therapy’ was overwhelming. Some patients travelled abroad to the United States to get the treatment. Some of those who took this route died. From day one the Government and scientific community was very much on the back foot and seemed ill-equipped to deal with such a public controversy. However, to its credit the Government did the only thing it could in the circumstances. It set up a working group to review the latest research and make its recommendations, and concluded with a decision to proceed with a call for Phase 1 and 2 clinical trials. Is this story a case of ‘power to the people’ usurping science and the scientific process? If the Government had caved in and had gone a different route to its decision to conduct an expert review and base its actions on this, then perhaps the answer might have been ‘yes.’ Nonetheless, it is an absorbing case study in how any Government can come under extraordinary public pressure in the field of medical research and treatment. In considering whether what happened in Canada could happen in the UK, you might wish to note the following as factors that would mitigate if not prevent the same event. 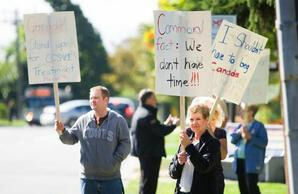 Most important of all, Canada’s record on public involvement is not good. Only very recently have they regarded it as a strategic priority. By comparison, and despite the fact that public involvement is still emergent here, our own equivalent of the Canadian Institutes, NIHR, has an established and funded programme in INVOLVE, and it has made public involvement a requirement of NIHR grant funding as well as a strategic priority for those whose lead and manage its various activities. Also, although the controversy did indeed cross the Atlantic it only lapped rather than broke our shores. I have no doubt that a fundamental reason for this was the way that the MS Society and MS Trust – the leading charities here in the UK – managed the debate by being open and transparent. Not only were they frank in explaining their standpoint but they also used social media and social networking sites as forums where patients in favour, or those against, could debate and discuss the pros and cons. I wrote on my blog fairly recently that this approach of seeing patients as partners in managing an issue and expectations is absolutely fundamental if science and scientists are to avoid a clamour for liberation some way down the line. It has also been significant in making the relationship with our own regulatory agencies here in the UK such as NICE are less stormy one than it might have been. Another ‘new’ tension – which I have already referred to in passing – is the challenge arising out of people’s use of social media and technology to set their own agenda in research. This is much more developed in the United States and some of you may have heard of this site called ‘PatientsLikeMe’ which thousands of patients are now joining to share knowledge and experiences of their respective conditions. Researchers and pharmaceutical countries are increasingly keen to tap into it as a mine of data as you can imagine. 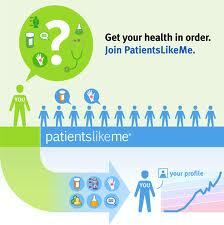 And PatientsLikeMe have already formed a number of partnerships with research organisations can engage with its users as a ready pool of participants in research. In the United Kingdom we have only seen a slight stirring of such activity, with the most developed examples occurring where there is quite a cohesive and organised patient grop.. But I myself been approached by several other individuals already this year about setting up similar, more generic sites and I have no doubt that this trend will accelerate. Whether you see this as patients taking the law into their own hands or trying to make sense of their experience for the wider good depends on your standpoint. As you’d expect, my perspective is that this is a natural occurrence borne out of the latter and which, if harnessed, could be enormously powerful. Unfortunately, and rather unfathomably, our systems and institutions here in the UK seem unable to grapple with the enormity of it. I wonder whether the root cause of this is the considerable cultural difference that exists between researchers who view social media in a very utilitarian sense (as another information provider), or the doctor who understandably worries about patient confidentiality, and the many members of the general public who increasingly see it as a way of life and are comfortable with forming networks and sharing information with friends and strangers. Did you know, for instance, that the average mobile phone user is never more than three feet from their phone? – That’s a comforting three feet nearer than a rat if you live in London. Or that 1 in 3 people say that they could not live without the internet. We need to, get with the programme, as they say. So, thus far this evening, I have talked about the current state of play in public involvement, the role played by charities and the opportunity their engagement with the public represents, the reasons why public involvement is important in our future endeavours in research, and some of the new tensions in health arising out of a democratized public where public involvement is and will be invaluable. In this last portion of my talk I’d like to touch upon how we can overcome the barriers that stand in our way to public involvement and to patients seeing research as part and parcel of their patient journey. I’d also like to address that notion of the ‘research patient’ as David Cameron put it. The most difficult barrier to overcome in my view is in terms of the knowledge, understanding and acceptance of public involvement among researchers. And, in my opinion, it is often the funders and the institution and their leadership which has the biggest role to play in shaping their viewpoint. Two weeks ago, INVOLVE and the National Research Ethics Service (NRES) – now part of the new Health Research Authority (HRA) – published an interesting study of the public involvement component of grant applications put before NRES. It showed that less than 20% of researchers had responded with plans to involve the public, 43% of researchers misunderstood what they were being asked, and 38% said they had no plans for public involvement. I find that quite alarming in the clinical research arena. Even more telling was the variation in these statistics between those researchers being funded by NIHR (who were the most well-versed and responsive), charities (where researchers did not perform as well as one might expect), and industry where knowledge, understanding and reference to public involvement was negligible. So, to go back to my opening point about institutions and funders, as with NIHR I think that all funders should be requiring researchers to respond with details of how they will involve the public and also making a lay abstract of the proposal mandatory – both at the time of grant application and research publication. The second barrier or collection of barriers to overcome, reside in our health system itself. When I talk to patients they talk about wanting the NHS to be a ‘National Health and Research Service’ where the research activity of the hospital or clinic is clear from the moment you walk through its doors, where you don’t have to pay privately to go on a clinical trial, where discussions about participating in a clinical trial can be easily and readily had with one’s GP. It is just not happening at the moment. And sometimes it has as much to do with professional attitudes as the systems and regulations themselves. 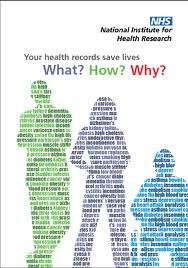 When the Association of Medical Research Charities (AMRC) together with the other partners of the UK Clinical Research Collaboration (UKCRC) developed this leaflet about the use of patient data in research, we asked both patients and GPs about their attitudes to patient data. You know what? The majority of patients shrugged their shoulders and told us they assumed it was already happening. Those that had concerns rightly sought reassurances about patient confidentiality. General Practitioners on the other hand proved highly resistant to having conversations with patients about such matters or indeed talking with patients about clinical trials they could be eligible for. If pressed, they seemed to take up an ever more paternalistic and obstructive attitude towards their patients and medical records. That leaflet is now out in 6,000 surgeries and it will be interesting what comes back from the evaluation of it with patients and GPs in a few months time. So systems and professional attitudes…and while on the one hand I am optimistic that the changes being made to the Health and Social Care Bill will benefit research by removing some of these barriers, these are only the end of the beginning in changing the embedded culture within the NHS which has historically not been hostile but not supportive either of the research enterprise in their midst. The last barrier lies in patients themselves. Much of our focus in the UK on improving the environment for research has been on making the system work better as I say – what I like to call the supply side. Far less attention has been paid to the ‘demand’ side of things, how we equip and encourage patients to come forward more actively, to see research as fundamental to the role it plays in the delivery of their own treatment but that of others in the future, and their role in it. Perhaps research should be taught as the fourth ‘R’ in our schools, or we should write to everyone on their 18th birthday like political parties do, explaining the compact they are entering into with the NHS including what it does in research as an independent adult, or indeed, simply rebrand the NHS as the ‘National Health and Research Service’ as some have suggested. A cohort of research leaders following in the footsteps of Ronald Furlong. But a settlement where research is a way of life for all its inhabitants.